White German Shepherd dogs look exactly like their common black and tan counterparts, except that their color is completely white. One notable difference is that the long-haired dogs do not have an undercoat. The recessive gene necessary for the white coat hair was introduced into the breeding gene pool between the late 19th and early 20th century German breeding programs. Greif, a white herding dog was the grandfather of Horand von Grafrath, the first registered German Shepherd Dog. White German Shepherds are also called Swiss Shepherd Dogs (Berger Blanc Suisse). At one time, the white coat was considered a fault. It is now known that the recessive white gene masks the actual color of the dog. In the 1970's, fans of the breed in Canada and the US formed their own breedclubs, showing the dogs at specialty dog shows. By 1995, the American White Shepherd Association (AWSA) was founded. 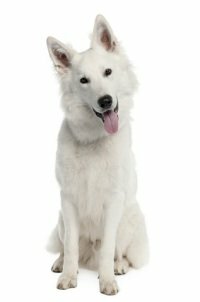 Together with the White Shepherd Club of Canada, AWSA published a new breed standard. And eventually petitioned the American Kennel Club for full recognition as a unique pure breed. The American White Shepherd became a separate breed, independent of the German Shepherd Dog. 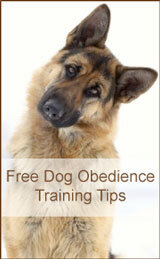 I have owned and trained white and dark German Shepherds for 27 years. The difference lies in the individual animal, not the coat color. Crider's GSD, "White Shadow Crider," appeared in 168 films and was awarded a title for best actor dog.